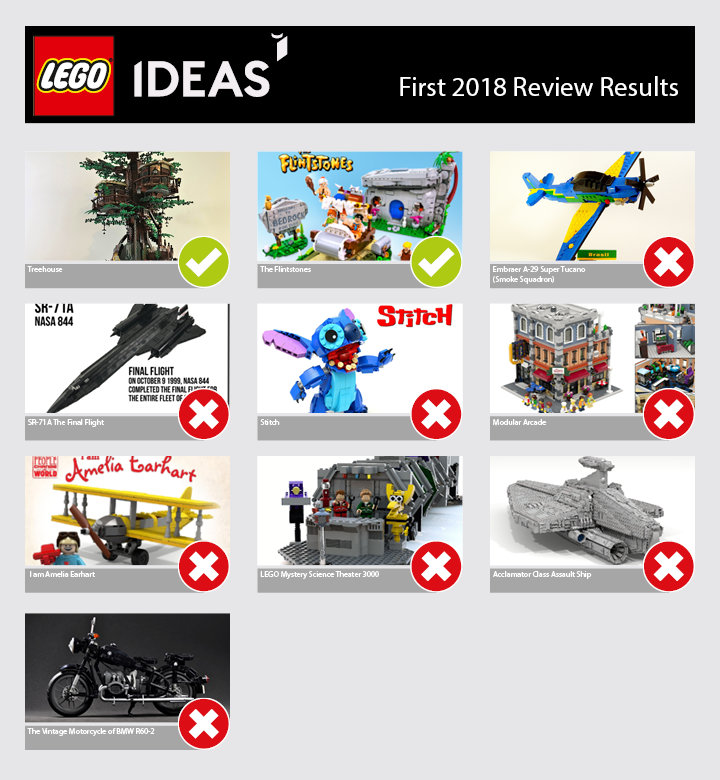 Over the past several months, the LEGO Review Board has taken lots of time to review the 10 creative product ideas that reached 10,000 supporters between January 2018 and May 2018. 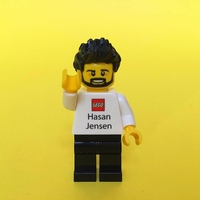 We're always privileged to receive and review so many impressively built models that truly reflect the endless opportunities of building with the LEGO brick and the incredible talent in the fan community. Thank you and congrats to all 10K members as well as all the passionate fans who've supported them and helped bring them to this stage of the LEGO Ideas experience! Check out the announcement presented by Ali Plumb and myself. Congratulations to Kevin Feeser a.k.a. 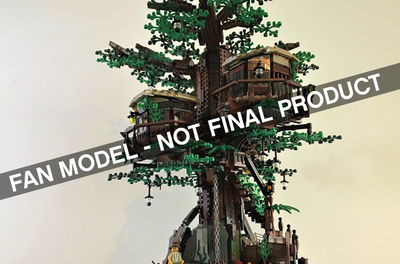 KevinTreeHouse for this creative design, which will officially become one of the next LEGO Ideas sets! We're excited to see how this tree will flourish. If you'd like to learn more about Kevin then make sure to check out their 10K Club Interview. 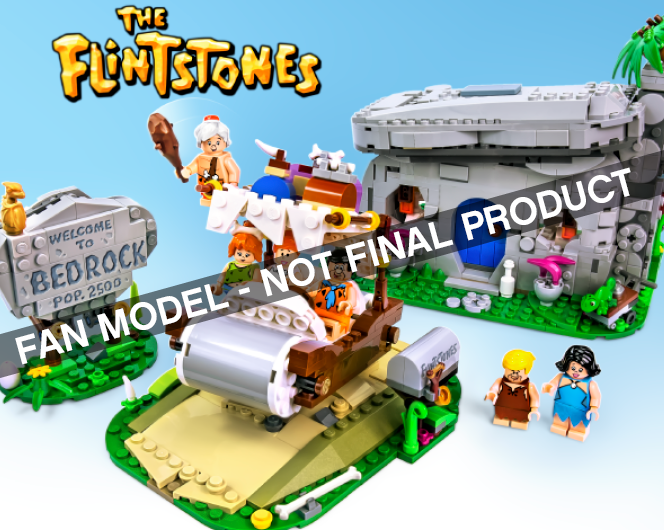 Both sets are expected to launch in 2019, however we’re still working out the final product design, pricing and availability for the Treehouse and The Flintstones sets, so check back on LEGO Ideas in 2019 for more details. As you likely know, the next batch of LEGO Ideas projects are already in review. We’re considering these projects that reached 10,000 supporters between May and September 2018 as possible future LEGO sets. 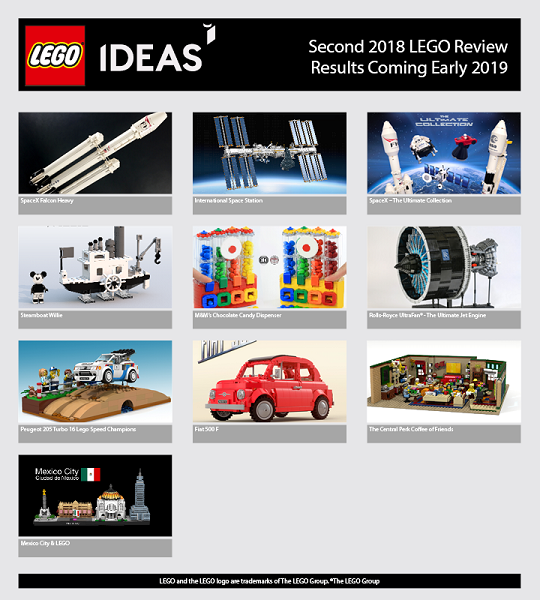 We’ll share results of the Second 2018 LEGO review period in early 2019.